I started writing this ages ago and haven't got that far So I thought I'd post the first chapter up as motivation. It's based on my opinion of what would happen after DH and I've tried to make it as canon as possible, including pairings. POV alternates between Harry, Ron, Hermione and Ginny, not necessarily in that order. All I can ask is please give it a go, and tell me what you think - the more reviews the better! It was as if someone had stopped her heart. His lifeless face was all she saw. There were screams. She knew that. It took her a while to realise the screams were coming from her. There were people holding her back. She struggled against them. She had to reach him. Why couldn't he hear her? Ginny blinked, gasping. Her mother's shoulder shifted a little. She must have cried out loud. also dosed off where they were sitting, grief and euphoria having given way to tiredness. gone; the portrait hole was exposed and she scrambled through it. hadn't had that joy for so long. next to him. She identified in his expression a similarity to her own. Ginny slid off the bed and made her way over to him, catching Ron's attention. "Blimey! When did you get in here?" down the end of his long nose onto her cheek. alright in the world. He could sleep as long as he pleased. past year may never have happened. He was back in his Hogwarts dormitory with Ron. It was exactly as it should be. "Yeah, excellent. What's been going on?" starting on the repair work. Giants and castles are not a good mix, it turns out." Harry was silent for a while. He stared at Ron, who turned red round the ears and found an excuse to hide his face from Harry. year, his torn clothes remnants of their terrible journey, the darkness in his voice and eyes a haunting shadow of his loss. Harry's selfish thoughtlessness sickened him. Ron said nothing for a while, contemplating his answer, until finally he could look Harry in the eyes. triumph seemed almost worthless. It was tainted and bitter. "I'm so sorry. I wish... I wish... I wish I could go back and do it differently, so they needn't have died. They shouldn't have died. "You'd better not be blaming yourself for this. If you do, I swear, I'll..."
"I know, I know, it had to be done," Harry said bitterly, "I just wish it could have happened differently, that's all." He met Ron's eyes and knew they understood eachother. He had opened his mouth to speak again when the door opened. ruffled her hair, rolling his eyes at Harry. "How are you feeling? "she asked him. "I'm fine. Really. 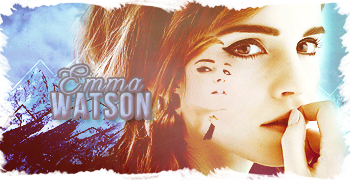 How are you, Hermione?" "Ron, your Dad's just got back from the Ministry. Your mum wants us to go down to the Great Hall when Harry's ready..."
"Hermione, he can't stay up here all day. He's probably starving, aren't you Harry?" "Yeah, I am actually," he admitted, noticing for the first time a dull ache in his stomach. In the fresh light of the morning, the full scale of the damage to the castle was unveiled. Harry could scarcely bare to look around at the crumbled stone and rubble as he, Ron and Hermione passed through the Entrance Hall. The great oak front doors had been blasted off their hinges so he was able to make out some of the mess in the grounds before him. Rain had washed away traces of blood from the stone steps, disguised giant footsteps as oblong puddles and turned everything to mud. In the great hall some sort of comfort had been established. Fires had been lit in the grates, doing their best to counteract the draught from several smashed windows. Some people had conjured sleeping bags and were huddled in them still, others were beginning to rouse sleepily in the early morning light. Harry, Ron and Hermione made their way over to a huddle of people who had seperated themselves a little from the rest. Harry's eyes first found Ginny, who was sitting with George. She looked up when they entered, and Harry tried to put every sentiment into his eyes which he was unable to otherwise express at present. Ginny looked away, whether from anger or pain Harry didn't know, but he had more pressing matters to deal with now. He always had more pressing matters to deal with. Ron immediately sank into a seat between his mother and Charlie, the latter of which clapped him on the back in greeting. Bill and Fleur were in quiet conversation. Percy sat silent, his eyes roving between George and his father. "Right, well," Mr Weasley's voice was rather hoarse, and he looked as though grief were the only thing keeping him awake. Hermione sat down at his words, giving him her full attention, except for occasional glances towards Ron. Harry remained standing, all thoughts of rest having left him like a dream. He needed to be active. He needed to help. "The Ministry's been working to reinstall security around likely target buildings, since there are bound to be several vengeful Death Eaters still out there. Kingsley doesn't want us to let our guard down just yet. The Burrow's under the highest security possible, but Hogwarts is probably still safer. We don't think any Death Eater would risk attacking here again. However, your mother..."
"I want them home," Mrs Weasley's whisper was firm, "I want them home with me." "Mum," Ron said, "There's loads of work to be done here, as well as the Ministry. Can't we..."
Mrs Weasley fixed him with a glare that would have been quite ferocious were it not obscured by tears. "You are staying with your family, Ronald Weasley." "Hogwarts can wait!" she shrieked, and then her face crumpled and she clutched desperately at his hand, "Please Ron. Please don't leave me again. Please." "Hey, I wasn't - I didn't mean - I'm not going anywhere!" Ron assured her in horror as she dissolved in his arms. "I think it would be best if we all went back to the Burrow for a while," Mr Weasley said, "I know you all want to help with the restoration of Hogwarts, and you shall in due time. Everyone needs a break right now, not just us. The castle can wait. People are more important." LOl. I haven't read FF in AGES. But I used to love R/Hr FF. But now I might get into it again. Keep going plz. I want to rewrite the second 'chapter' - it's too fanon-y for my liking atm. ^ Thank you so much! I'll update as soon as I possibly can! See! I agree with Sarah! Update! WOW!!! Katharine, I just read it! It's FANTASTIC!!! I loved every second of it, and I'm not one to read many fanfics. Perfect characterisations on your part. I feel like this could have very much been part of the books. PS. Is it OK for me to think there is something implicit with Ron's 'discarded clothes'? Vida, thank you so so much. You honestly don't know what that means to me. I'm glad you agree with the characterisations, I've tried to make it as canon as possible, because I just can't bare OOC fanfics myself. I really enjoyed your fan fic Katharine... and ofc I agree with vida and what she said. that's a really tough moment to start off in. I'm very much interested in seeing how you carry on with the story. Describing their grief and capturing all the mixed emotions that must be settling in for all the characters after the Battle of Hogwarts is quite a challenge. I think it's natural that the euphoria over having vanquished Voldemort would not carry the day and that the grief and sadness would be at the fore. I haven't read too much in regards to fan fiction and I would think it would be easier to jump away temporally from the moment and establish your own style without having to worry about consistencies in the story quite so much. I thought your choice to have Ginny refrain from waking Harry, as she must have wanted to hug or hold him, was an interesting choice and very fitting with the reasoned/responsible approach we've come to expect from Ginny. You know I'm not one to rush people!!!! So take all the time you need, but please do, write more!!! I hope I've done that moment justice. It was a deliberate choice to carry on the story in as canon a style as possible (although obviously corresponding to my interpretation). I don't read a lot of fanfiction primarily because it's difficult to find one which I find believable and in-character, so I wanted that to be key in this. The trouble is moving to the next chapter. The style of it is waay too fanon-y for my liking atm. Edited by Dumbledores Woman, 22 February 2011 - 06:01 PM. Right, I give up. I'm going to post this chapter how it is, whether I like it or not. I hope it's in-keeping with the previous one, but I still find it a little fanon-y. I think I've found it quite tricky not going to AU when writing from a POV that's not Harry's, which is why I'm not entirely happy with the execution of this chapter, but hopefully later Harry-POV chapters will bring everything more canonish. Maybe. Anyway, sorry I've kept you waiting for such a ridiculously long time. I'll try and make the next update sooner, despite having virtually no plan as of yet and a mountain of other things to do But I will! I promise. "And Odo the Hero, they bore him back home..."
The mixture of singing and raucous laughter was enough to drive anyone insane, but Hermione couldn't help but smile a little. Mr Weasley, propped up between Ron and Charlie, was swaying as they sang together on top of the coffee table, firewhisky in hand. Hagrid hiccupped beside her inbetween violent snores as she watched Percy stumble over them, glasses askew, in pursuit of a giggling Alicia Spinnet. It wasn't the typical funeral, perhaps, but it was oddly fitting. There had been numerous memorials to attend over the past couple of weeks, but this one was different. Hermione didn't think she could see anything sadder than Harry sobbing uncontrollably over Lupin's coffin as he had a few days before. That was, until she saw the entire Weasley family collapse at the sight of Fred's name carved into a headstone. It was Lee Jordan and Angelina Johnson who had saved the day. Lee had set off what looked like the entire stock of Weasley's Wizard Wheezes' magical fireworks, and Angelina had drawn George out of the house to see them. The sight of his smile, the first smile that had crossed his face since the battle, as he gazed transfixed at the sight of Fred's name spelled out in bright flames across the sky, had given them all the strength they needed. They were going to get through this. They could survive. Ron had pulled Harry up on the table with him to join in the chorus and Hermione caught Ginny watching from her position curled in the corner of the sofa, a sort of happiness mingling with the sadness in her expression. Smiling, Hermione picked her way through various swaying bodies on her way to the kitchen, bumping into a ruffled Fleur as she and Bill descended from the staircase. Hermione shut the kitchen door and sighed as the din from the living room became muffled and quieter. It took her a moment to realise she wasn't alone; Mrs Weasley and George were cuddled together at the table, neither appearing to notice her presence as she put down her empty glass and crept out into the garden. The cool night breeze caused an involuntary sigh to escape Hermione's lips and she raised her face to it, leaning back against the ramshackled old house she knew and loved so well. In the distance she could just make out the glimmer of Fred's headstone in the moonlight and automatically had to blink back the tears that rose at the sight. A clamour from the living room drew her attention back to the raucous laughter which was now accompanied by Ron's distinctive cursing. The sound, which Hermione would usually have berated, now caused the corners of her mouth to twitch, whilst simultaneously bringing an influx of more tears. What was wrong with her? 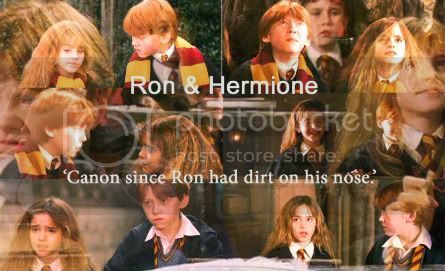 She wiped them away in disgust, but they kept coming, and Ron's voice echoed in her head. It infuriated her, standing there crying for him, for all of them, but it was all she could do. Footsteps sounded behind her and she moved away from the house in a vain attempt to gather herself together. This was stupid - what business has she to stand here distraught when everyone she loved was inside, needing her to help them through their own pain? Well, almost everyone... but she couldn't deal with that thought now. That would have to wait. Ron needed her. "Hermione?" Ginny's voice startled her slightly. She wiped frantically at her eyes, but knew Ginny had seen. "I came out for a bit of fresh air," she found herself saying, "How's the... party... going?" "Actually, that's why I was looking for you." The cheer in Ginny's tone reassured Hermione enough to make her look round at her friend. "Do you know how to heal bruises? Ron's had an accident with an elbow." She smirked and caught Hermione's eye. "Charlie's dancing got a bit... overenthusiastic." Hermione couldn't help but smile in return as she and Ginny headed back towards the house. At the doorway, however, Ginny suddenly stopped Hermione, grabbing her gently by the arm. When she spoke, her voice was more measured than before, and Hermione knew that Ginny, like her, was struggling to keep it together. "You don't need to be strong for us, you know," she said, not looking at Hermione, but into the house where her mother and George had fallen asleep, cuddled together on the kitchen table. "Ron wouldn't want you to do that. I think he'd much rather know that you need him as much as he needs you. And I want you to know that too. You've always been a good friend to me, Hermione, and I want you to know that I'm here whenever you need..."
Hermione stared at Ginny for a second, trying to stop her face from crumpling as she watched Ginny begin to shake slightly from repressed emotion. "Ginny, I... thank you..." she moved to hug her friend, but Ginny gave a small shake of her head and bolted into the house. Hermione heard footfalls on the stairs and knew Ginny would rather have this moment in private, but she felt useless. So many people she loved were suffering immeasurably, but there was nothing she could do to help them. Ugh, ok, I've decided, I hate it. I may have to post a rewrite at some point. I love the chapter update. Gah, I do hope you update a lot sooner than what this one was. I like how you captured the sense of grief from the fresh perspective of Hermione in that chapter Katharine. Why, may I ask, did you choose Hermione? I thought it was interesting that you chose to focus in moslty on Hemrione and Ginny in that chapter too. Love mixed with anguish and loss is a difficult thing to grasp and I'm curious as to why you might have chosen to do so in something of an isolated sense when you had Hermione seperate from the group? It's amazing to me the way our minds can take us in different directions when we consider the aftermath of the book. I find someone like Hermione as almost clinging to Ron, in order to support him, and I often think of the family together... doing their best to joke and dance and keep spirits up... much in the way you related at the beginning of the chapter. I loved the little touch of including Alicia Spinnet, Angelina Johnson and Lee Jordan... three characters who were obviously close to the Weasley twins and would have been the rock for George and the Weasley family as they celebrated the memory of Fred's life and began to rebuild their lives. I really see Percy as taking charge during the funeral, feeling protective of his younger brother and a strong sense of lingering guilt over having left the family for so long. I almost feel like the funeral would serve as much as a moment for bringing Percy back into the family as it did for bringing a sense of closure to the loss of the physical presence of Fred from the family. I love the bravery in your writing. These are easy things to skip over or skip past, but you tackle the deep emotional atmosphere after the Battle of Hogwarts. It will be interesting to see where you take the story when you are given a bit more liberty with the story line as you move away from the direct aftermath, and yet I really long to see more about the funeral scene and see how the family comes back together. Transitioning between characters is a really cool and challenging method for continuing the story. Why did you chose Hermione? I would hope that you might continue to give her voice, even though I understand too how doing so would vere considerably more from the canon than continuing through Harry's voice.